Mother of Perpetual Help, your very name inspires confidence. We come before your holy picture in praise and thanksgiving to God seeking your intercession with Jesus, your son for all the needs of our lives today. We celebrate your holy motherhood as we proclaim Jesus Christ our Lord and Redeemer. You wondered as your Son grew in wisdom, knowledge and grace. Intercede for us so that we may welcome the Word of God in our lives and be bearers of the good news to everyone. You delighted as your Son healed the sick. Intercede for our sick that they may receive good health and that they in their turn may be healers to others. You enjoyed peace as your Son comforted the afflicted. Intercede for all who suffer so that they may know that we carry their burdens with them and in this way we keep the law of Christ. You rejoiced as your Son forgave sins. Obtain for us the forgiveness of our sins and lead us to unbind others and set them free. You exulted in your Son’s resurrection. Obtain for us the grace to persevere in His way all the days of our life and be granted a place in heaven. You are the first of all the disciples and saints. We trust in your motherly love and care. Obtain for us all the graces we need to fulfill God’s plan each day in our lives. Amen. 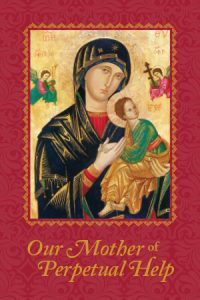 O Mother of Perpetual Help, Icon of Love, your sorrowful gaze at our suffering and that of Jesus entrusts us to the love of the Father. Help us to make you known even more and to be missionaries of the good, beautiful, and joyful life of the Gospel. Open our hearts to the cry of those without hope until all come to believe. Teach us to ponder the Word in our hearts and to do what your Son asks us to do. 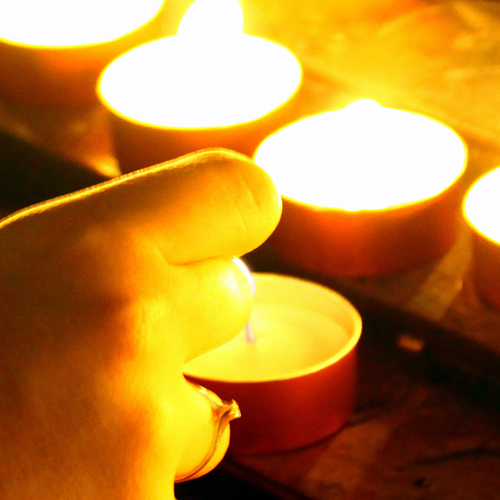 Enable us to walk with you, with the great light of faith to light our path. Download the OMPH jubilee prayer card.